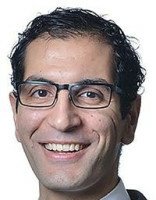 Wissam Aoun is an assistant professor of law at the University of Detroit Mercy and director of the International IP Law Clinic, a joint clinical programme between the University of Detroit Mercy School of Law and the University of Windsor Law School. The International IP Law Clinic is the world’s first and only international IP law clinical programme, operated jointly between two jurisdictions – the United States and Canada. The clinic is a US Patent and Trademark Office (USPTO) certified patent law clinic, which permits law students enrolled in the clinical programme to practise before the USPTO while still at law school. Mr Aoun has developed the first clinical programme in the world committed to providing pro bono international IP services to inventors and start-ups, providing both US and Canadian clients with IP protection in several jurisdictions. He has been actively working to expand the reach of this clinical programme to create a comprehensive, first-of-its-kind international clinical network. Mr Aoun has also launched the TransAtlantic Patent Project, a clinical pilot programme with the qLegal Clinic at the Queen Mary University of London. This pilot programme aims to accept clients from North America and the United Kingdom, pairs such clients with teams of clinical students from both institutions and pursues acquisition of IP protection in North America and Europe. Mr Aoun continues to develop innovative clinical programmes to further the goal of providing inventors access to the international IP system. His clinical programme is set to launch a Patent Prosecution Highway (PPH) initiative, wherein USPTO clinic resources and the PPH are leveraged to provide clinic clients with international IP protection. Further, the clinic plans to begin the world’s first Patent Cooperation Treaty clinical programme, in order to educate future global IP practitioners and provide clinic clients with access to the global patent system.